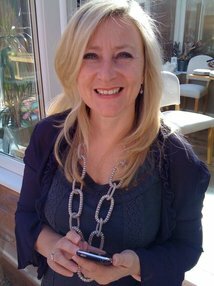 I am an experienced psychotherapist and counsellor who works with couples, individuals, families and groups. I work with relationships, emotions, self esteem, anxiety, depression, mental health issues, communication difficulties, grief , loss and bereavement, life transitions and encourage people to become their best self. I am also a trained Eye Movement Desensitization and Reprocessing (EMDR) therapist. I am currently studying at Worcester University under Derek FarrelI. As well as practising EMDR therapy I am in the third year of the Masters course. EMDR is proven to treat simple PTSD and complex Trauma, OCD, phobias, depression, anxiety, Adverse Childhood Experiences (neglect or abuse), Sexual Abuse and other complex presentations. Don't think your problem isn't important enough and feel you would be wasting my time.